In their first week at Southwest University, the UWindsor students had the privilege of attending a series of introductory workshops put on by professors from the Southwest University Faculty of Teacher Education. 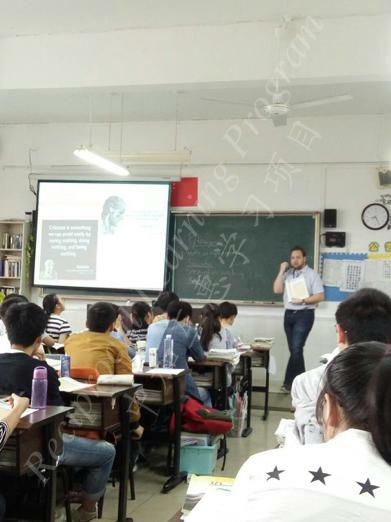 There was an interesting and eye-opening Chinese history class that included information from China’s birth up to the modern era. 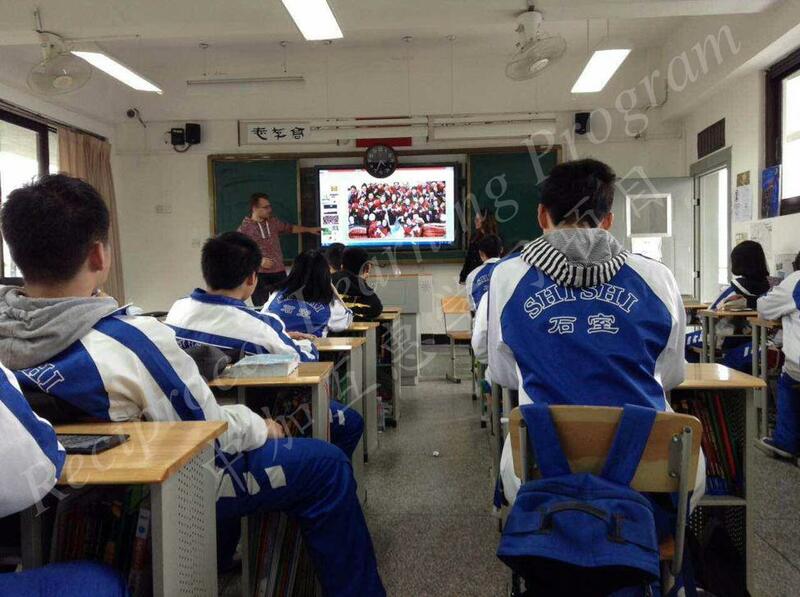 In addition, a fantastic and divisive class about the history of Chinese education was offered to the students. 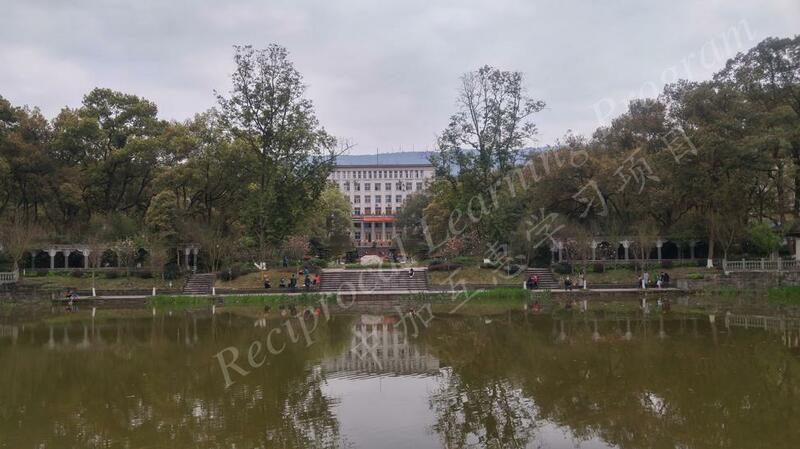 Chinese painting and art history were taught, as well as calligraphy. 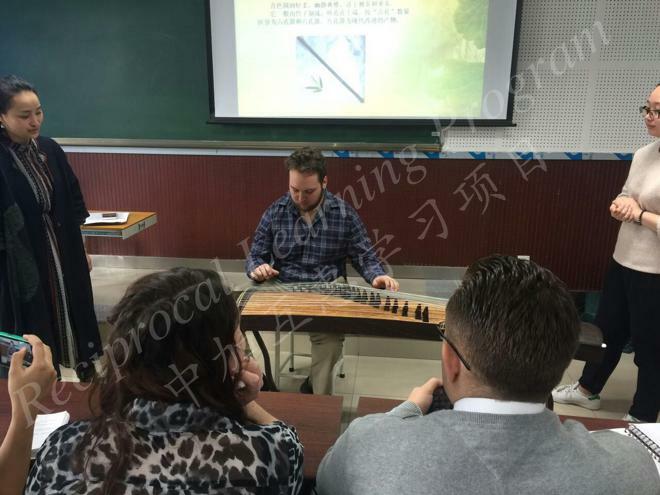 Finally, the students had a Chinese music class that incorporated some beginner lessons in playing the guzheng. The UWindsor students were humbled by these fantastic educational experiences and will carry the knowledge and skills gifted to them from the professors at Southwest University for the rest of their lives. A long weekend spent in Chengdu presented the UWindsor students with an opportunity to introduce elements of Canadian culture to students in China. 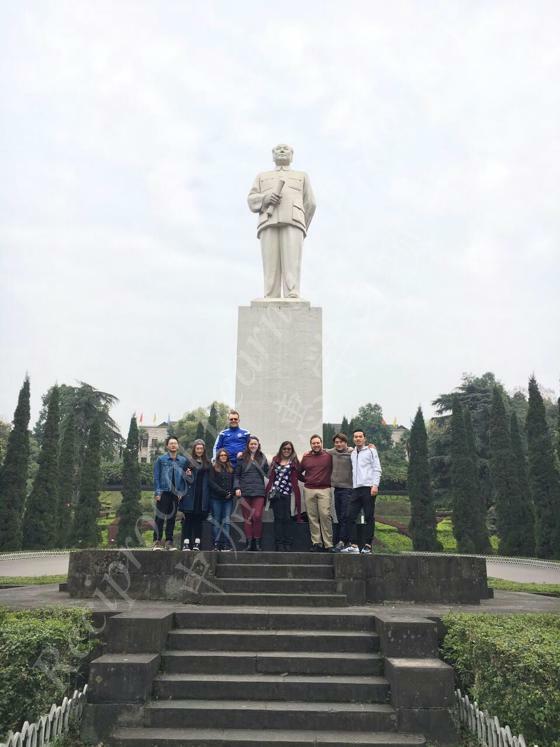 On April 1st, 2017, Alaura, Aline, Altion, Michael, and Victoria visited Chengdu Shishi High School whose campus is adorned with lush greenery, blooming flowers, and a sparkling fountain. After receiving a tour of the school, the UWindsor students conducted two separate workshops for select groups of students. Altion and Victoria enlightened students on the variety of sports played in Canada. Alaura, Aline, and Michael hosted a workshop about camp during which students actively engaged in various camp games such as Huckle Buckle, Pass the Hoop, and Pie Splat. 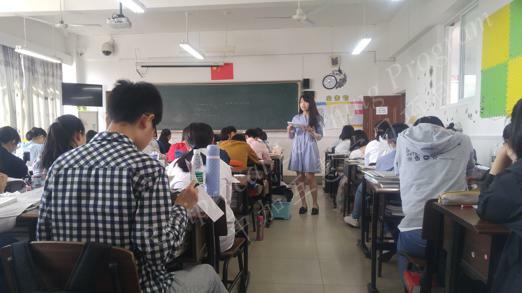 Whether they were teaching about sports or camp, the UWindsor students got a taste of what it was like to teach in a high school in China and had a better idea of how to move forward in lesson planning for their upcoming high school practicums at DePu Foreign Language School and the High School Affiliated with Southwest University. 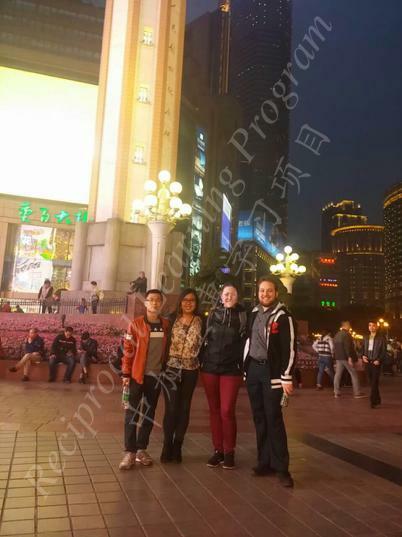 Along with many workshops that the group attended, they had the opportunity to experience several cultural activities. One was attending a Kungfu session. The UWindsor group experienced an introduction class in Kungfu and quickly realized that this activity, much like many Chinese activities, involves precision, focus, and stamina. The instructor taught specific movements and transitions to execute the specific choreography. Although the UWindsor students did not leave the session as Kungfu masters, they had much more respect for the art form and were sore several days afterwards. 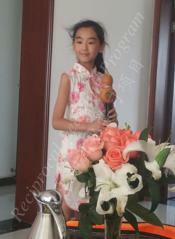 Chinese painting and art in general is much different from western traditions. The west is very interested in realistic forms of art while Chinese paintings consistently involve the audience's imagination. The UWindsor group learned that many paintings of mountains and figures will lack a complete background and leave the rest for the viewer to imagine. The UWindsor group learned how to paint traditional bamboo and leaves. This session was led by an art professor from Southwest University. This session sparked so much interest that some UWindsor students went on to buy painting materials and paint on their own. Here the group learned how to paint cherry blossoms and simple figures. 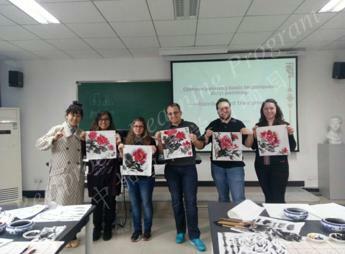 This valuable experience expressed Chinese traditions in painting and opened the door to understanding traditional Chinese art. Traditional tea ceremonies are a key component of Chinese culture and it was an activity that UWindsor students found themselves participating in on more than one occasion. 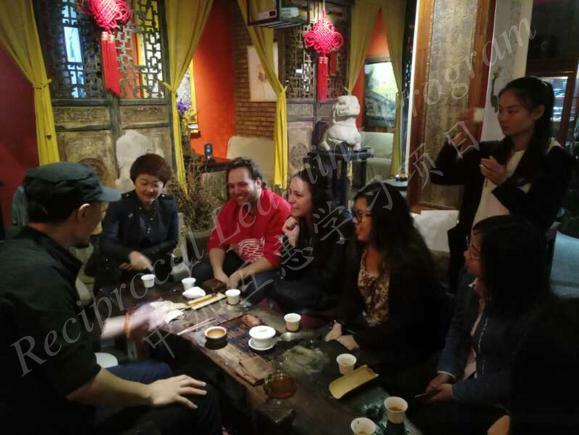 On March 15th, 2017, Alaura, Aline, Altion, Michael, and Victoria visited the Qing Shan Ju Tea House outside the Temple of Heaven in Beijing where they sampled seven types of tea: ginseng oolong, pu’er, lychee black, jasmine, green, fruit, and oriental beauty. 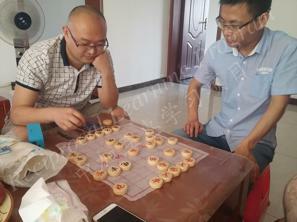 During their first tea ceremony, they also received a lesson on proper tea etiquette such as how to hold the cup and the importance of savoring tea by sipping it. 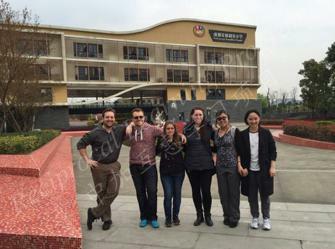 On May 6th, 2017, Alaura, Aline, and Michael joined several Southwest University teacher candidates on a visit to a teahouse in the Beibei District of Chongqing. The owner of the teahouse not only conducted a tea ceremony for them and also delighted to give them a tour of the teahouse. 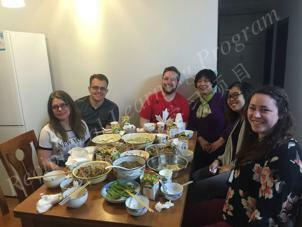 Alaura, Aline, and Michael even jumped at the opportunity to learn how to properly conduct a traditional Chinese tea ceremony (see UWindsor 2017 Group Visiting Vocational Schools). 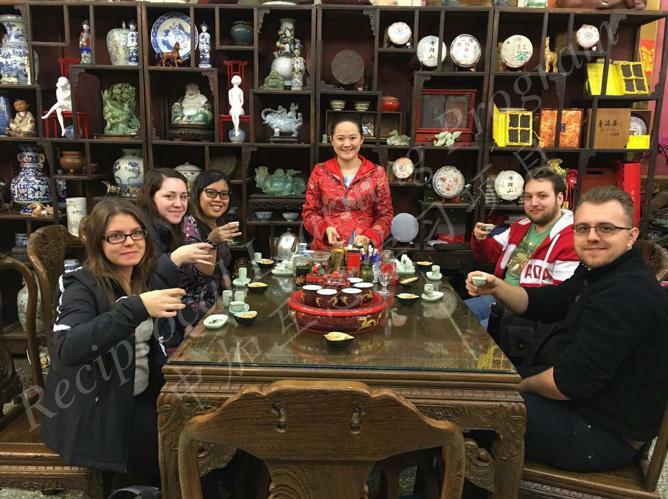 Participating in traditional Chinese tea ceremonies and visiting teahouses allowed the UWindsor students to embrace elements of Chinese culture while strengthening their friendships with the Southwest University teacher candidates. 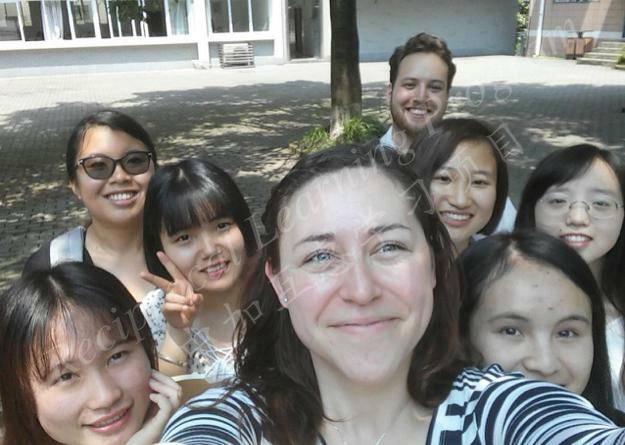 Throughout their stay in Chongqing, the 2017 Reciprocal Learning Program University of Windsor students spent a lot of time on the campus of Southwest University. Stunned by its massive size, the students took time to adapt to the campus without getting lost. 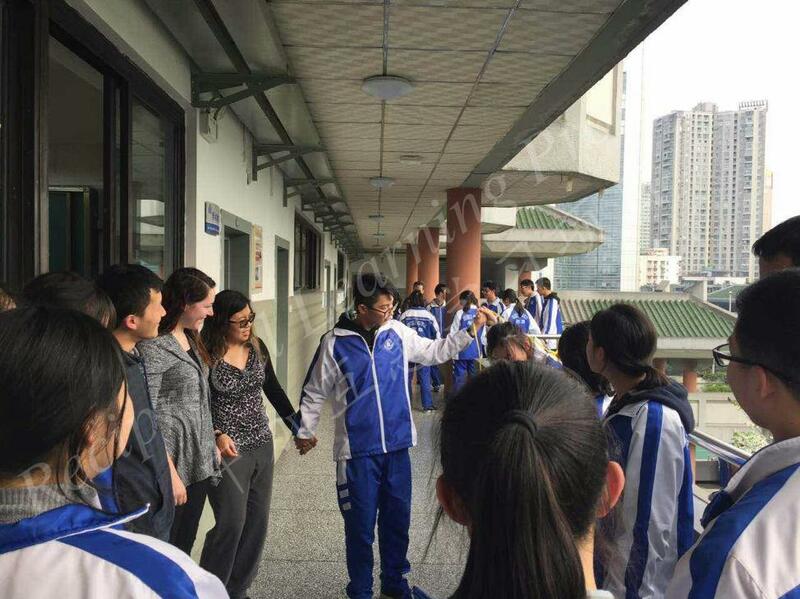 Thankfully, the students made many friends in China， Altion and Victoria were often found playing sports with Li Qiyang. Alaura and Aline fell in love with the chicken restaurant next to the International Students Dormitory and spent much of their free time there. 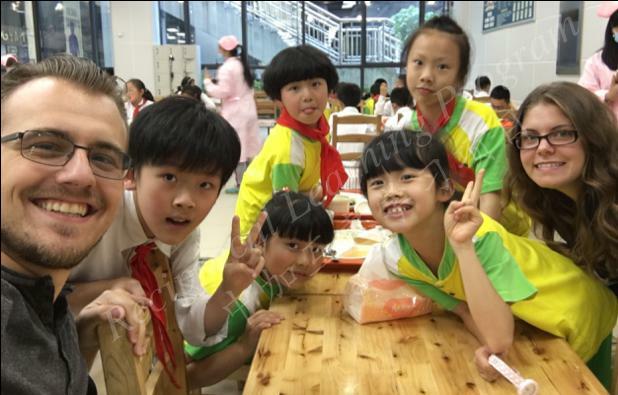 Michael often disappeared without notice, but the other students knew he would be travelling with Longmin, Wenhua, Jiawei, or someone else who would keep him safe. 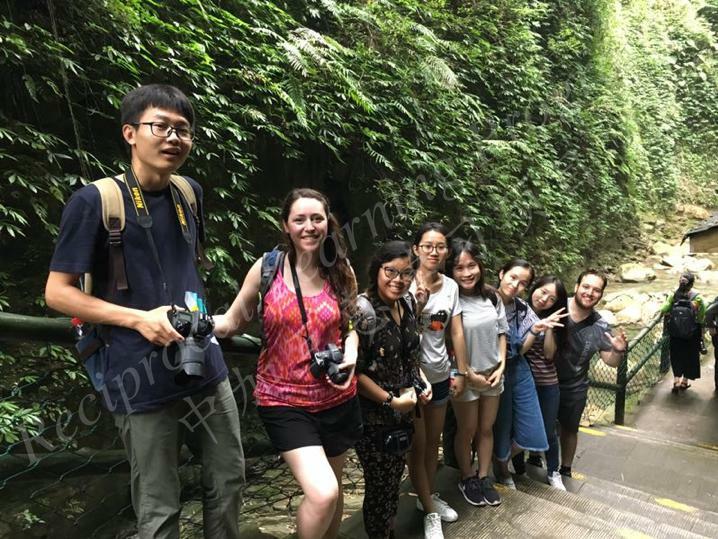 Throughout the trip, the students learned to love Southwest University for its amazing facilities and natural beauty spread throughout the campus in its dense foliage. In April, 2016 UWindsor cohort students took a visit at Southwest University (SWU) Central Library and History Museum. The librarian of SWU Central Library introduced the overview of SWU library to UWindsor teacher candidates. During the visit in the History museum, UWindsor teacher candidates walked around to learn more about the history of SWU. As the picture shows, David and other UWindsor students was listening to the introduction of school badge of SWU. The UWindsor 2017 Group had several unforgettable opportunities to visit professors and students homes. 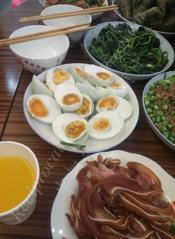 These visits taught the group how to make traditional foods such as dumplings, won tons. In family homes, students performed their calligraphy skills, food preparation traditions and special skills like dancing and playing music. 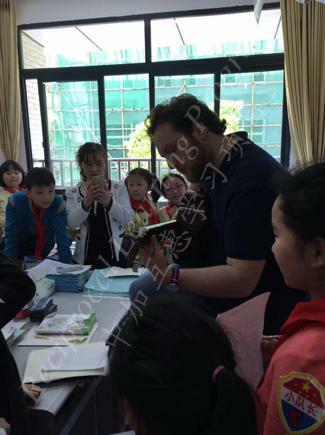 The group learned that the child of the family were treasured gifts and emphasized the importance of studying. They encourage their children to keep improving in their studies and extracurricular activities. One family designated a wall for their child’s achievements to encourage them to keep achieving more. 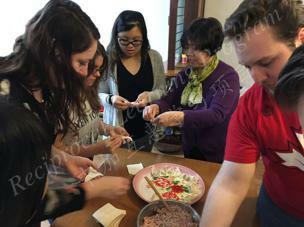 The group experienced many traditional dishes including zongzi, a traditional rice dish that contains different fillings wrapped in a bamboo leaf. 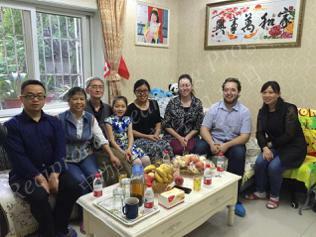 The home visits were treasured experiences for the group and let UWindsor students peer into the everyday lives of Chinese families. From May 16th, 2017 to May 27th, 2017, the University of Windsor Reciprocal Learning Program teacher candidates enjoyed a practicum at the High School Affiliated with Southwest University. In these two weeks, Alaura taught students about Canada, and even gave a seminar to a room of over one hundred students. Aline used mind maps to teach students about the Industrial Revolution and also gave a lesson about education in Canada. Michael was able to expound his knowledge of Western philosophy in a challenging metacognitive class and used drama to bring D-Day to life in a lesson about English comprehension through the lens of World War II. 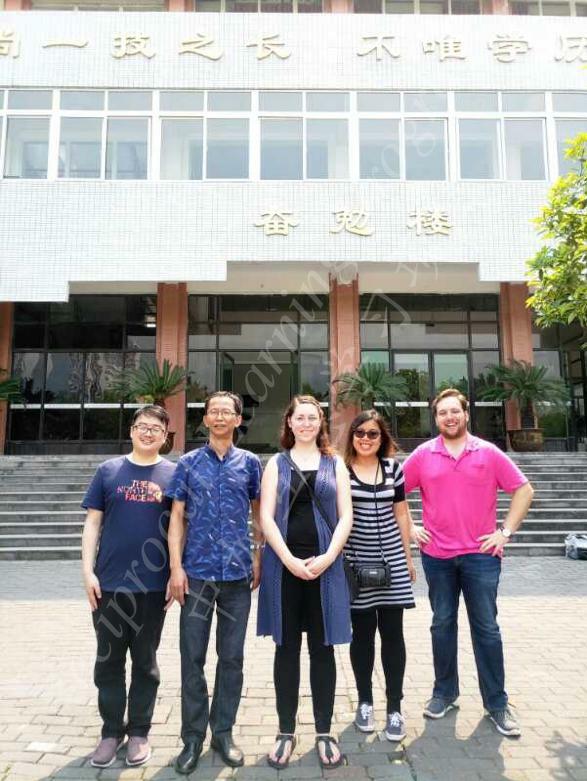 Michael also enjoyed the opportunity to teach in the attached International School, where the students were instructed entirely in English and learned British curriculum. As a trio, Alaura, Aline, and Michael gave a lesson about occupational education to a group of students in Grade Seven that involved a lot of fun demonstrations. The time spent at the High School Affiliated with Southwest University was truly a wonderful learning experience for the UWindsor students. 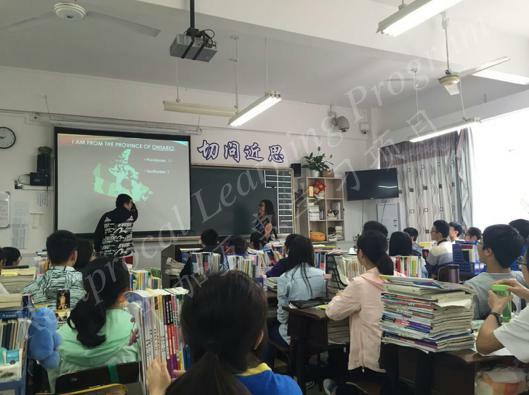 From April 5th, 2017 to May 12th, 2017, Alaura, Aline, and Michael completed part of their teaching practicums at Zeng Jia Yan Primary School in the Yuzhong District under the supervision of various English-language associate teachers. 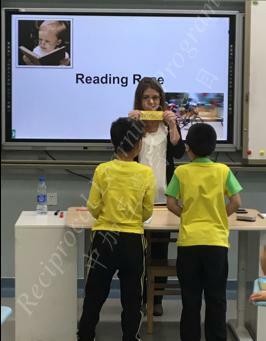 Through lectures, games, songs, and videos, they engaged their students in lessons that covered a variety of topics such as animals, colours, body parts, the weather, and holidays. Their teaching experience was not limited to textbook content; Alaura and Aline assisted a select group of students in making dreamcatchers during a sister school Skype meeting with Prince Edward Public School back in Windsor. 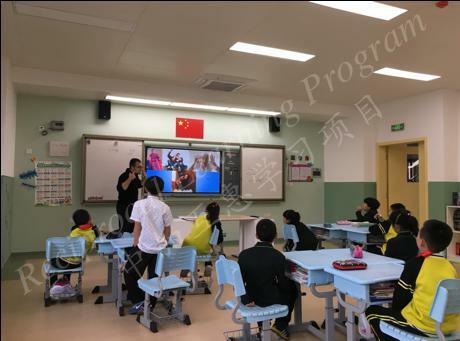 For Alaura, Aline, and Michael, the entire experience at Zeng Jia Yan Primary was beneficial to their growths as educators because it propelled them to strengthen their classroom management skills, engage in creative thinking, and embrace a flexible approach to teaching. 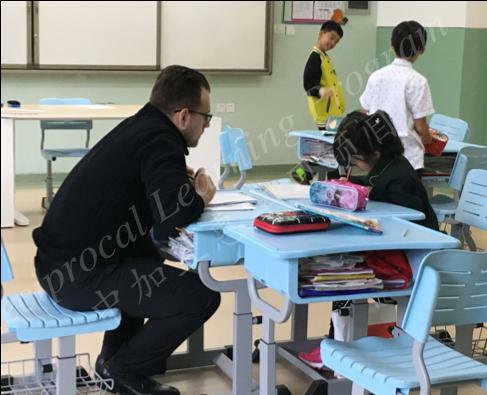 Beginning from April to early June, some of the teacher candidates from the Reciprocal Learning Program taught at Chongqing Depu Foreign Language School. 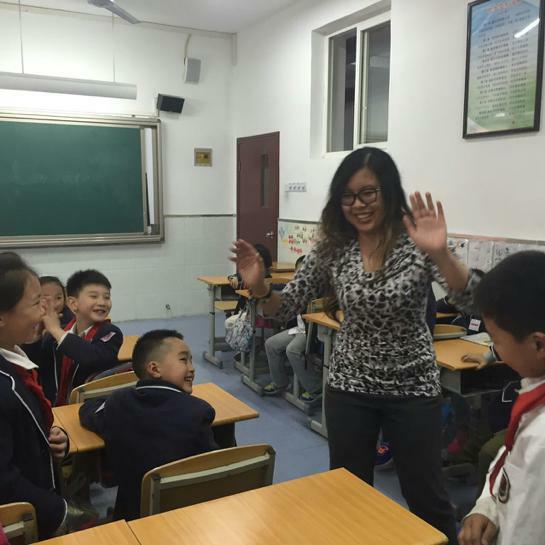 The teacher candidates were responsible for delivering Oral English lessons to sections of grade one and three students. 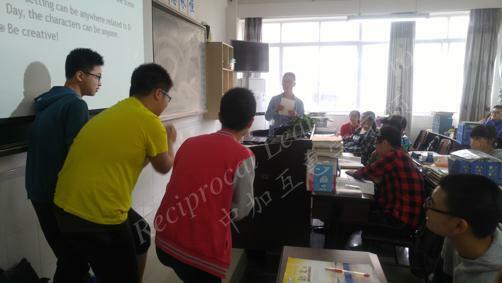 Teaching at Depu FLS involved integrating curriculum material and educational games to motivate and encourage students to speak and communicate in English. Aside from teaching, the UWindsor group members were also responsible for monitoring, assessing and engaging with the students both inside and outside of the classroom setting. UWindsor teacher candidates gained valuable cultural and educational experience working with students and teachers at Depu FLS. 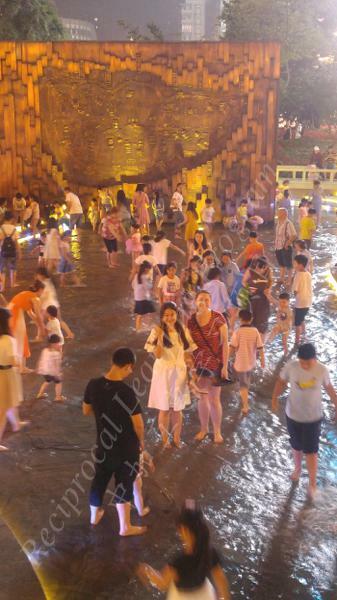 The Canadian group had the opportunity to travel to Chengdu via the fast train during their stay in China. During this time UWindsor students had the opportunity to visit several schools. 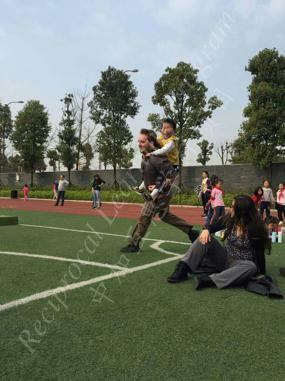 One school in particular was Chengdu Montpellier Primary School. 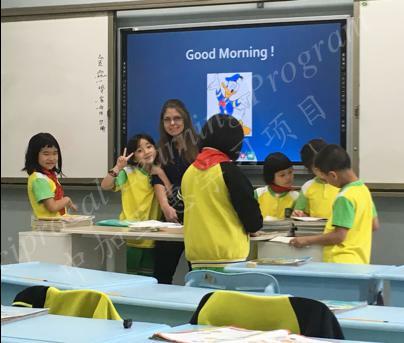 This new school is taught by a group of young teachers and puts emphasis on learning not only Chinese and English but French as well. UWindsor students arrived on their Sports Day and participated and conversed with the young students which quickly turned into many games of tag, clapping games, and small chats in English. 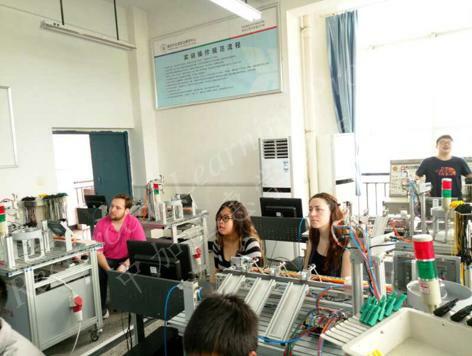 The group also attended the ShiShi High School in Chengdu where UWindsor students taught workshops. Victoria and Altion taught a lesson on Canadian geography while Michael, Alaura, and Aline taught about Canadian camps. The high school students were extremely kind and willingly participated in the activities and team builders the UWindsor group lead. 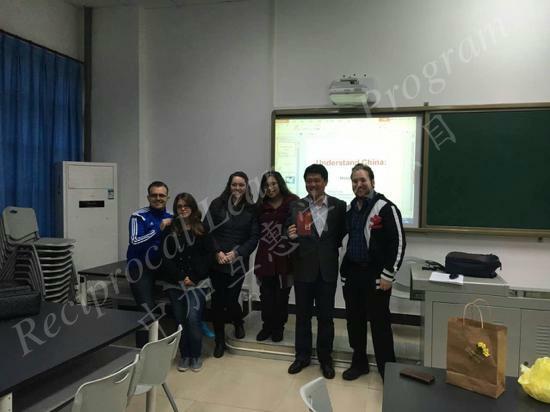 The group felt especially welcomed by the Chengdu teachers and would easily visit again thanks to their friendliness and hospitality. 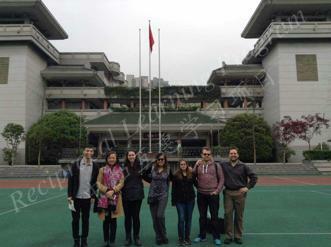 On May 19th, 2017, several of the UWindsor students had the opportunity to visit the Chongqing Beibei Vocational High School. Accompanied by a representative of the school, Alaura, Aline, and Michael toured the school grounds. 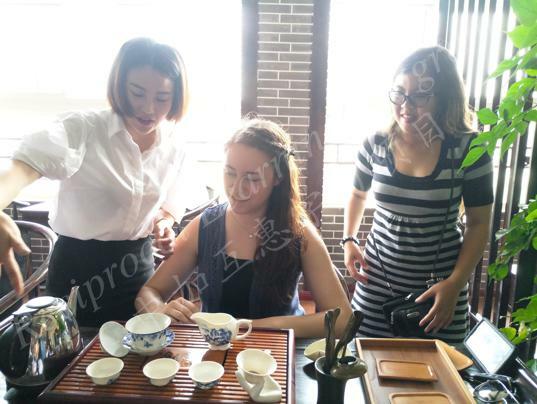 The highlight of the visit was participating in a hospitality administration class in which Alaura, Aline, and Michael were walked through the proper steps on how to conduct a traditional Chinese tea ceremony. 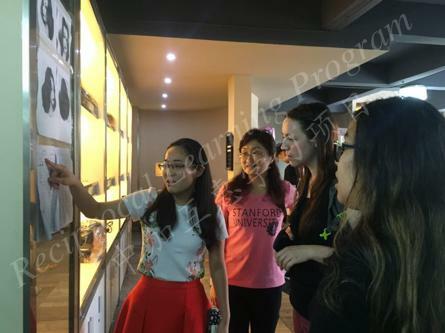 On June 2nd, 2017, Alaura and Aline visited Chongqing Municipality Vocational High School. 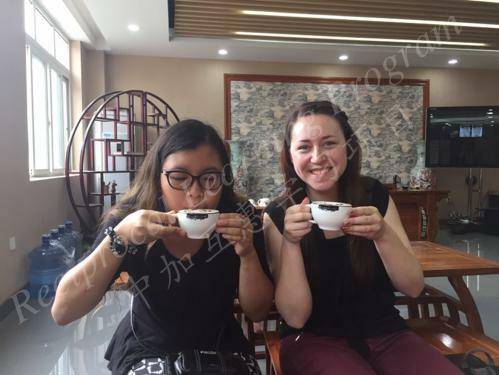 Alaura and Aline particularly enjoyed spending time in the coffee shop-like room where a student barista prepared cappuccino for them and the school director conducted another traditional Chinese tea ceremony. Overall, the three UWindsor students found these visits to be quite intriguing and appreciated the opportunity to explore environments that put a lot of emphasis on hands-on learning.